← Could you spot the female author? When you think of Tokyo, what images come to your mind? High rise office buildings? Flashy electronic gadgets? Kimono clad women? Cherry Blossom trees? You’re likely to see them all if you ever get a chance to visit the capital although as a tourist you won’t touch more than the surface of this city. Journalist and university professor Michael Pronko has spent 15 years living and working in the city. The result is a collection of articles first published in Newsweek Japan and now published in English for the first time as Beauty and Chaos: Slices and Morsels of Tokyo Life. Through more than 40 pieces he delves beneath Tokyo’s mask, reflecting on the idiosyncracies of its inhabitants and their predilection for maps, drink vending machines, noodles and posh shopping bags. Michael claims he’s not a Japan specialist nor is he very good at the language. Reading these articles however it’s clear that what he does have in abundance is an inquisitive mind and an ability to make the commonplace interesting and often funny. Through him we’re forced to re-evaluate objects and scenes that would otherwise escape our attention, from the narrowest alleyway to the slogans emblazoned on t shirts and the rituals that accompany the handling of money.. Trying to navigate his way to an unknown part of the city, for example, he’s mystified by little pink circles on his street map. Eventually he works out they mark the location of cherry trees in blossom. It’s not the kind of thing that maps in the west would ever convey — the seasonal colour of trees. Yet. along streets, canals, streams and in parks are the maps indicting the probably rather exact position of cherry trees. Perhaps its that same desire to escape controls and a regulated life (whee rules and guidelines, instructions and regulations are posted on every conceivable surface) that explains why residents happily toss out their rubbish into the narrow passageways between buildings. In a city with the best-swept gutters in the world, where neighbours spend as much time netting their trash as reading the morning paper, those gaps are piled with tossed out crap. Broken household appliances waiting for recycle coupons, buckets and mops left over from osoji spring cleaning, unused kerosene containers, and ripped-out PVC piping ally amid some of the world’s toughest, most adaptive urban weeds. Many of the articles in this collection point to the contradictory nature of Tokyo life. The same people who recklessly dump their unwanted goods meticulously follow a bookshop etiquette of choosing only the wrinkled copies of magazines and books to read while standing, carefully avoiding disturbing the pristine copies at the back which are for purchasers not browsers. The same people carefully choose bags in which to present gifts to friends and family, taking considerable care before leaving the house to find just the right bag, matching their bags to outfits and treating them as important an accessory as a necklace or scarf. It would be fascinating to discover why this is a city of such contrary habits. but the closest Michael Pronko gets is to point to its elusive nature. An intriguing collection that I enjoyed dipping into and will be sharing with some of my colleagues in Tokyo to get their reactions. Thanks to Michael for providing me with a review copy. Posted on June 30, 2015, in American authors, Book Reviews, Non fiction and tagged Japan travel; Tokyo travel. Bookmark the permalink. 7 Comments. I can’t remember if you’ve been there, but I’m guessing you have if you were sent this book? 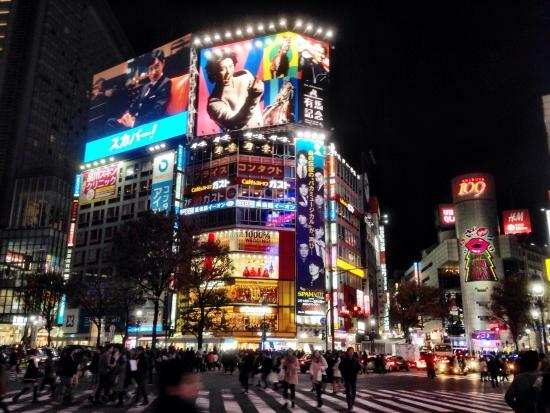 I love Japan, and have been there three times, each for three weeks. I recently reviewed Richard Lloyd Parry’s true crime book, People who eat darkness, which explores some Japanese and Tokyo culture around 2000+, and written by an English journalist who has lived there for a couple of decades. Interested in your answer to themisanthropologist’s question. Oh you MUST get out of Tokyo. Every time we’ve been there are three places we’ve been – Tokyo, of course; Kyoto; and the absolutely wonderful Kanazawa which I believe is not finally serviced by a fast train. But, there are so many other fantastic places and towns to visit. Last time we spent a week or more in Shikoku and around the Seto Inland Sea islands and towns. We’ve also been to Aomori, Sapporo, and Hiroshima and Nagasaki. Also Matsue. And Takayama. And … well, lots of other little towns. Next trip we’ll probably spend more time in Kyushu and will definitely go to Kanazawa again. When you’ve been to Tokyo have you got up to Nikko? You can do it as a one-day trip, but overnight is better. Sounds interesting. I love Japan and am also intrigued by Japanese culture…I think it would be quite hard for an ‘outsider’ to really understand the complexities of Japanese culture. But then again, the same can be said about any culture and society. Sounds like a fascinating read. Does he take an anthropological perspective and try to explain why the Japanese behave a certain way or does he just observe and describe their behaviors?